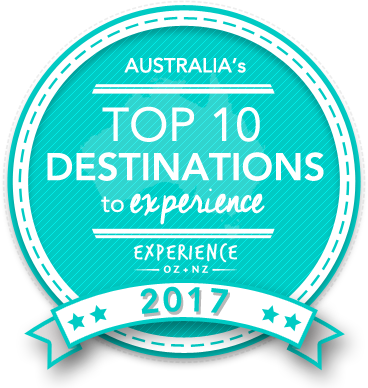 Vote forFitzroy Island, QLDTop Island Destinations Which are Australia's must-visit destinations? You help us decide. If you're a traveller to Cairns who is wanting a slightly less touristy island exploration option, then Fitzroy Island makes for an ideal choice. With a reputation as more of a place for locals than visitors, Fitzroy Island provides a solid all-around island destination with plenty of activities that are also quite accessible from Cairns - a 45 minute ferry ride is all it takes to immerse yourself amongst this wonderful blend of sun and sand. Fitzroy Island boasts unspoiled natural beauty, pristine surroundings and safe sheltered waters, which promise to make your holiday to Australia more enjoyable and memorable. Located 25km east off of Cairns, Fitzroy Island features a mixture of beautiful coral beaches, open woodlands, tall coconut trees, sturdy mangroves, granite outcrops and lush rainforest befitting its status of an actual island rather than just a mere coral cay. In terms of activitiies, Fitzroy Island offers the likes of hiking, sea kayaking and a range of bars and cafes in addition to the standard snorkelling and lazing in the sunshine, although there are plenty of secluded places to do that here, too. Fitzroy Island is also far larger than neighbouring alternative Green Island, and comes complete with not only tropical rainforest but additional spectacles in the way of dense woodlands and stony coasts that are a joy to explore. This larger island size and additional distance from Cairns also means that the population of snorkellers is far less dense than on Green Island, making it easier to get that feeling of escapism that marine exploration is supposed to provide. Fitzroy Island is quieter and more of a true getaway destination in itself, which is why many choose Tropical North QLD as a travel spot in the first place. Fitzroy Island also offers a great variety of walking tracks to keep visitors occupied on land, with its main Summit Walk that takes walkers on a path through the forestry, leading up to the island's lighthouse and providing a great outlook of the surrounding panorama. After you've finished exploring, Fitzroy Island's Foxy's Bar makes for a great place to kick back with a drink and soak in stunning reef views, while the island's 5-star luxury resort provides an elite accommodation option for those looking for an extended stay. Add to this Fitzroy's lovely Nudey Beach - the perfect spot for shore-based relaxation - and it's a tempting package that makes the extra time and effort to get here well worth it. Fitzroy gets the nod not only due to its inherent beauty, but also to its tendency to be less crowded and still reasonably close to Cairns. Looking to pay a visit to Fitzroy Island but not sure what to do? Here are some of its most essential experiences. What's new on Fitzroy Island? Plans to implement a new helipad on Fitzroy Island are in motion in order to provide aerial access for both safety and sightseeing purposes. A new mid-range accommodation of new 3.5 star "Butterfly Bungalows" offer a great and reasonably-priced alternative for on-island stays for families and couples alike. Is Fitzroy Island Australia's Top Island Destination to Experience for 2017? Vote now for the chance to WIN an epic trip to one of Australia's top destinations!